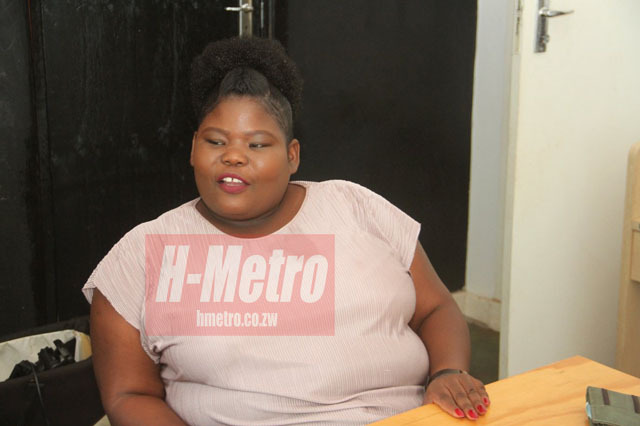 AWARD-WINNING comedienne, Gonyeti – real name Samantha Kureya – says she doesn’t doubt her beauty despite all the mockery she gets on social media. The award-winning Bustop TV actress, news anchor and reporter, says haters have made her realise her own version of beauty. And being the most sought after actress at Bustop TV, Gonyeti says she doesn’t read much into what people say. The 31-year-old says people’s perception about her frame, beauty and looks have made her even stronger in her job. 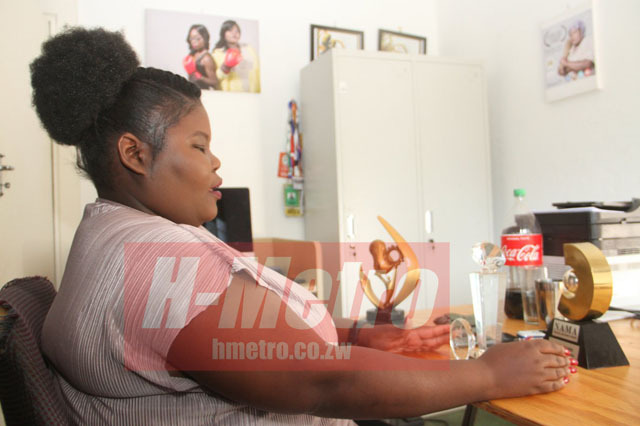 Gonyeti opened up to H-Metro early this week as she spoke about her tough upbringing in the ghetto, the mockery she received owing to her structure and of course the segregation she faced at school. The Mufakose-bred comedienne said life was never rosy for her after losing her father at a young age. “Losing my dad at a young age meant that we had to rely on our mother. “It was my mother (Mirriam Mavhudzi) who had to struggle to fend for the family as a house maid. “She also doubled as a vegetable vendor and our gogo also supported mama. 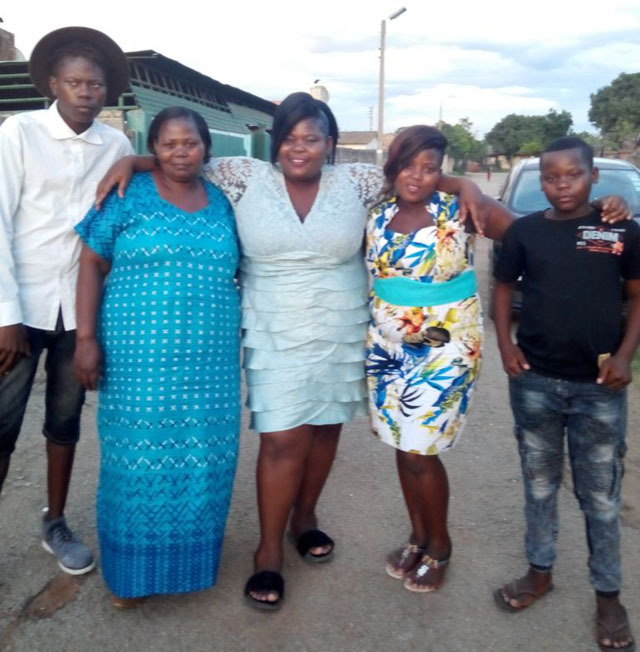 “And being eldest in a family of four – two boys namely Donald (23) and Nigel (16) and two girls, myself and younger sister Felistas (27) – meant I had to be strong in life and comedy eased my sorrows,” she says. Like any other child raised in the ghetto then, she also enjoyed children’s games – known in vernacular as mahumbwe – along with other kids. “I used to play outside with other children at a nearby bushy area with childhood friends like Tariro Mapanga. “Then, I was naughty and I remember causing a veld fire in Mufakose and it took the elders’ efforts to put off the fire. “My guardians suggested that I stop hanging around with my friends, especially Tariro but we never stopped,” she says. Gonyeti, who accepts her frame, says she was once worried by her big body since she was segregated a lot. “Owing to my big body, some would laugh at me and at one point, I got help from our English teacher called Madam Rukato at Mufakose High 4 when builders at a construction site mocked my body on my way to school. “I was so affected that I tried to exercise but I couldn’t continue exercising. “My teacher counselled me to believe in myself despite my big body because I did not choose to be who I am. “From then, I realised I was beautiful in my own way and I still challenge those who are saying I am ugly to come forward. Gonyeti recalls getting very sick when she attempted to lose weight. “At school, I used to play soft ball but my body and frame would not allow me to continue. “I then tried to down a half cup of vinegar after I was told I would lose weight instantly. “I got seriously ill to the extent that I feared for my life and I gave up on weight loss. Gonyeti says she became a professional actress by default as she had interest in computer science. “By the way, I completed my Ordinary Levels in Mufakose but hazvina kubuda mushe wena. “I then decided to enroll for computers and electronicS courses before I tried my hand in acting. “My journey as a comedienne started around 2008 when I accompanied my mother for auditions as she was also an actress in two drama series – Togara Sei? and Toita Sei? – where she performed the role of Mai Tonde. “It so happened that one of the girls did not show up for auditions and I was invited to come and try my luck. The talented actress says she got her name during a skit they shot along with Admire Kuzhangaira aka Bhutisi, which was on potholes entitle Tioneiwo. “In the skit, Bhutisi and Boss Kedha were busy filling potholes asking for money from motorists when they suddenly called me Gonyeti owing to my big body. “The name grew popular with fans who saw the skits and up to now the name still stands. Gonyeti says the split of P.O. Box to P.O. Box Reloaded and then Bustop TV almost posed a threat in her career. “The split created a lot of confusion as some people would mock us on stage as they were used to the likes of Boss Kedha and Bhutisi. Like any other profession, comedy has its own challenges. “Well, there are some people who do not understand comedy as we sometimes get threats from political figures when we try to poke fun at them. “I remember being mocked as fat pig when we covered Morgan Tsvangirai’s burial. Gonyeti says sharing the stage with Ugandan comedienne Kansiime was the best thing to happen in her career. “I realised my full potential after performing at Anne Kansiime’s show. “It was at this show where my stocks rose while Baba Tencern who had travelled from South Africa had a bad day in office. 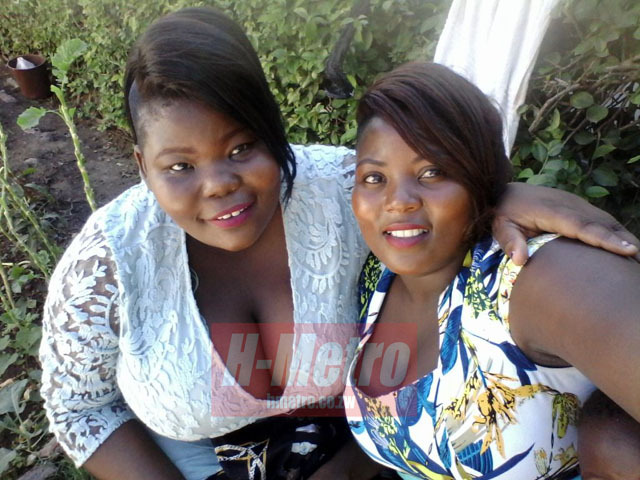 At 31, Gonyeti is yet to get married but says she is dating someone. “Well, I wouldn’t want to talk about my love life for now. Just know that I am dating someone, you will be the first to know when there are any developments. “I am dating someone that I love and that’s all I can say for now. 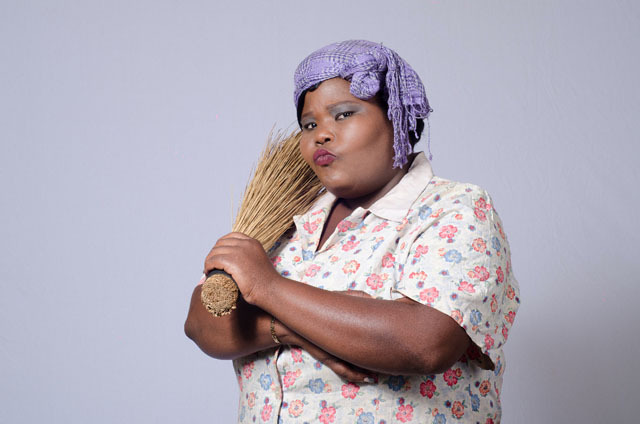 In her journey as an actress, Gonyeti has also bagged some accolades. “I have won some awards like the Women Media Awards (ZIWA), National Arts Merit Awards and several nominations. “I have been to the UK, Cape Town and currently we are doing commercials for a number of corporate organisations. “My affairs are being run by our producer Lucky Aaron and I don’t stress myself when it comes to performing my duties. Despite all the fame she enjoys, Gonyeti still stays in Mufakose. “I’m still a Mufakose resident but I have moved out of my grandmother’s house as a big sister. “I still love my neighbourhood and I have a special attachment to it,” she says. Despite her big frame, Gonyeti doesn’t have a special diet. “I don’t have a special diet and I eat what I feel like even though I like sadza and mazondo. “I don’t take alcohol and whatever I do comes natural. Like any other actress and television personality, Gonyeti has special designers who dress her on special occasions. “There are people who dress me like Jan Jam among other top designers. In short, Gonyeti’s script is that of an artist who braved childhood bullies to be where she is today as a result of self-belief. She believes she is beautiful and she will always find strength from those mocking her.